WATERLOO, IOWA -- Virginia Baago, 78, of Waterloo, and formerly of Mason City, Iowa, was called to her heavenly home on Sunday, July 8, 2012, at Cedar Valley Hospice in Waterloo. Funeral services will be held at 1:30 PM on Wednesday, July 11, 2012, at St. James Lutheran Church, 1148 4th Street S.E., with Pastor Jeni Bohls officiating. Interment will be at Park Cemetery in Nora Springs, Iowa. Visitation will be from 5:00 PM – 8:00 PM on Tuesday (July 10, 2012) at Major Erickson Funeral Home, 111 N. Pennsylvania Avenue. Virginia Maryann Jackson was born January 31, 1934, in Mason City, the daughter of William H. and Eleanore D. (Hartkopp) Jackson. She was united in marriage to Dennis Baago at the Little Brown Church in Nashua on June 30, 1975. They resided in Waterloo. Virginia was a fabulous cook – the family always looked forward to her dishes at family gatherings (especially her famous birthday cake for Phyllis at Christmas dinner). She loved trying new recipes and made up some very good ones of her own over the years. Virginia loved working in the garden – especially her flowers. She also loved to read. Her greatest joy was always the children in the family. She loved being around them and caring for them. Having her two granddaughters – Kaitlin and Loren, these last years was what she lived for. They made her so happy. She will be in all our hearts forever and always loved. 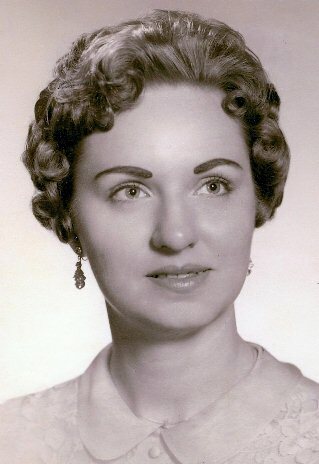 Virginia is survived and greatly missed by her husband of 37 years: Dennis Baago of Waterloo; two sons, William Shelburne of Lincoln, Nebraska and Bill Baago of Waterloo; three grandchildren: Thomas J. Shelburne, Kaitlin Baago, and Loren Baago; two sisters: Phyllis Roethler of Nora Springs, and Norma Helland and husband Arlin of Mason City; two brothers: William Jackson of Mason City, and James Jackson and wife Yolunda of Ruthven, Iowa. She is also survived by several nieces and nephews. Visitation will be from 5:00 PM – 8:00 PM on Tuesday (July 10, 2012) at Major Erickson Funeral Home. Funeral services will be held at 1:30 PM on Wednesday, July 11, 2012, at St. James Lutheran Church. Interment will be at Park Cemetery in Nora Springs, Iowa.